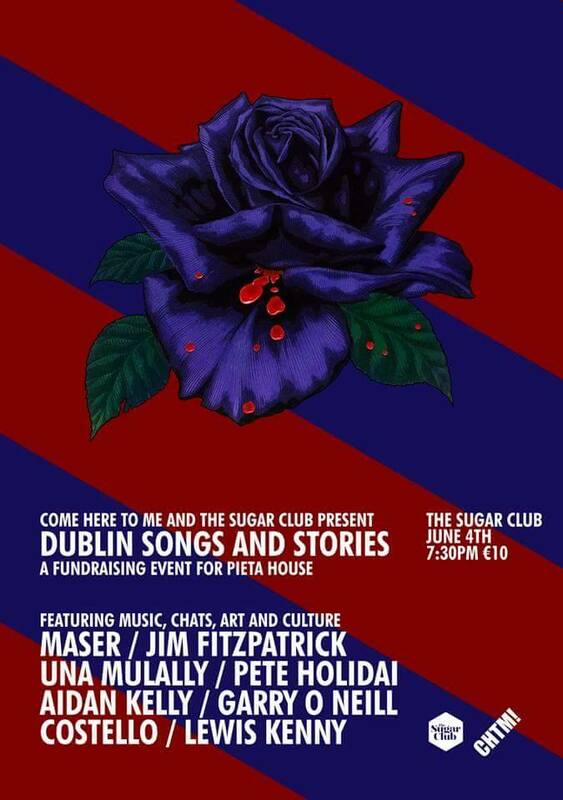 Event poster for ‘Dublin Songs and Stories’ | Come Here To Me! 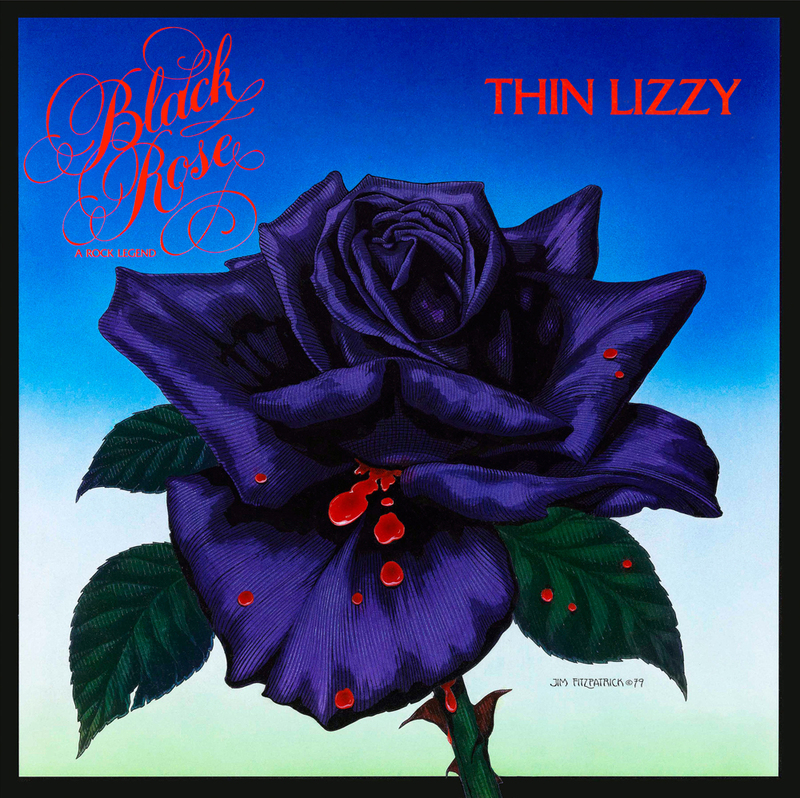 The central inspiration for the piece is Thin Lizzy’s iconic Black Rose LP cover, which was designed by Fitzpatrick. We’re great admirers of Fitzpatrick’s work, from his political posters of figures such as Che Guevara and Joe McCann to his Celtic influenced designs. Jim comes from fine stock too, being the grandson of Thomas Fitzpatrick of The Lepracaun, who also contributed cartoons to the Weekly Freeman. Further information on the event and tickets can be found here.